As photojournalists covering war zones seek to expose the cost of war in a powerful image, there's a heavy toll that's left behind. Three of the best war photographers in the world share their stories. A portrait of seven-year-old Amal Hussain, captured by a New York Times photojournalist, displays not only her ribs jutting out under an emaciated arm, but a clear resignation on her face. Just under a week after her photo was published, Hussain died Thursday at a refugee camp six kilometres from the hospital, her family told the New York Times. 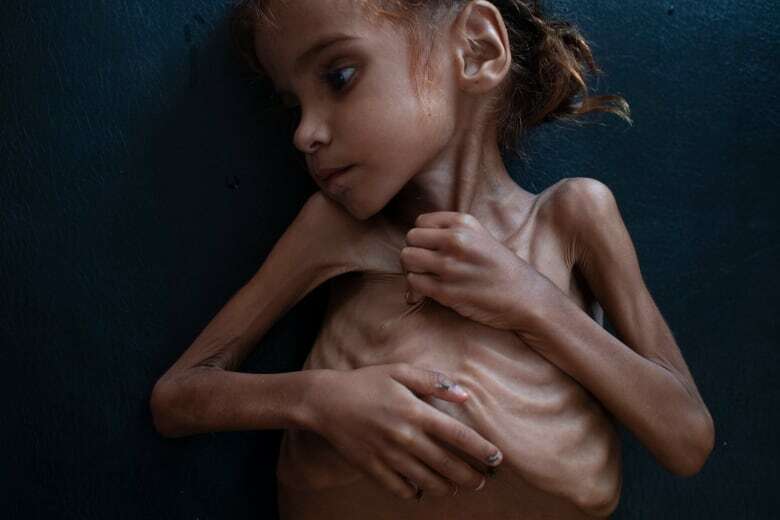 "To me, this young girl really represented a huge part of the crisis of hunger and malnutrition that's happening in Yemen now," said Tyler Hicks, who took the photo of Hussain in a very small clinic in northern Yemen. The United Nations warns that as many as 13 million people are at risk of death by starvation amid the fierce fighting between Saudi-backed government forces and Houthi rebels. Hicks's photo of Hussain, along with other emaciated Yemeni children were published in the New York Times, which included a rationale for why the traumatizing images were shared publicly. The Current's guest Laura Lynch spoke to three veteran war photographers, including Hicks, to talk about the toll their work takes on them. 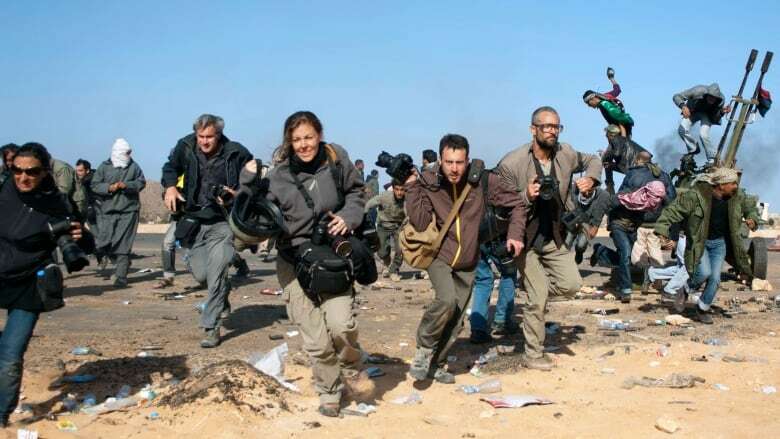 Hicks is a Pulitzer-Prize-winning photojournalist with the New York Times, who has worked in Syria, Libya, Russia, Bosnia, Israel and the Gaza Strip. He recently spent a month working in southern and northern Yemen photographing rampant malnutrition among Yemenis. There are times when these kind of photographs are important to see. We have to take pictures of very difficult to look at situations. When you insert yourself into a war zone, the side effects are very far-reaching. This is the reality of war. And people need to be reminded and shown. A family came rushing in with this very, very small, incredibly malnourished boy ... This is one of the things we experience on a fast-moving story. You're travelling, you're in and out of places, and you usually never find out what happens to people that you photograph. I happened to go back to that clinic the next day. And almost nonchalantly they said, 'You know that young boy that you were photographing at 8:00 p.m.? He passed away.' It was just heartbreaking. I just had my first child a year ago and with another on the way, it really does give me a different perspective about how these families must be feeling. Not only the suffering that the children are going through, but also the incredible amount of stress and worry and sadness that the families are going through on top of all the other challenges in their lives. 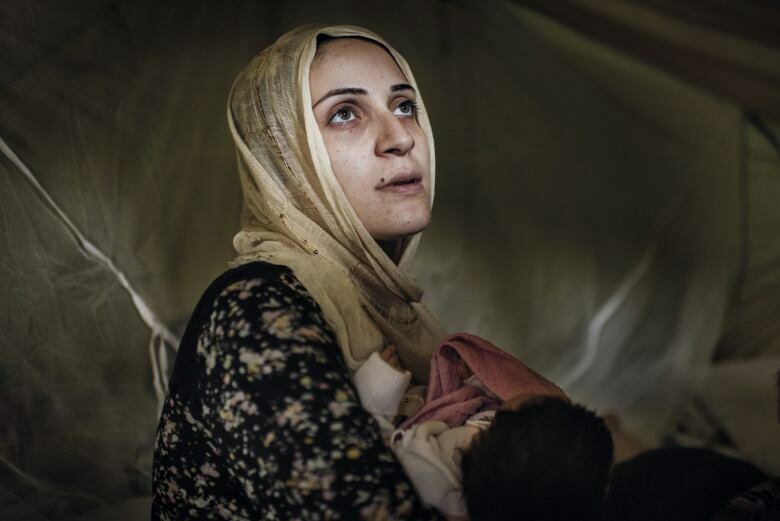 Lynsey Addario is a Pulitzer-Prize-winning photojournalist who has covered humanitarian crises in some of the most conflict-ridden countries of the last 15 years: Syria, Iraq, Afghanistan, Libya, South Sudan and most recently, Yemen. She recently published the book Of Love and War featuring photos from the last two decades of her career. I think we all worry about that. It's not like we walk into these situations with our cameras sort of blazing and just go around taking people's pictures without asking. In the most remote areas, people understand and appreciate the role of a journalist. And they understand that the world needs to see what's happening ... People say, 'These images — you're sensationalizing the situation.' No. This is the reality. We are not sensationalizing anything. We are just documenting the condition of these women and children. I'm a pretty emotional, passionate person and when I get into these situations, I often find myself crying while I'm shooting. I'm not the kind of person who can be stoic. I feel an incredible empathy and a real sense that it's just not fair that there are people who are born into these situations. It's important. And I also think it's important for us to know when to pull back as well to take some time out. That's fundamental to long career and doing this work. Award-winning Canadian photojournalist Finbarr O'Reilly worked for Reuters for more than a decade, based in Congo, Rwanda and Senegal. 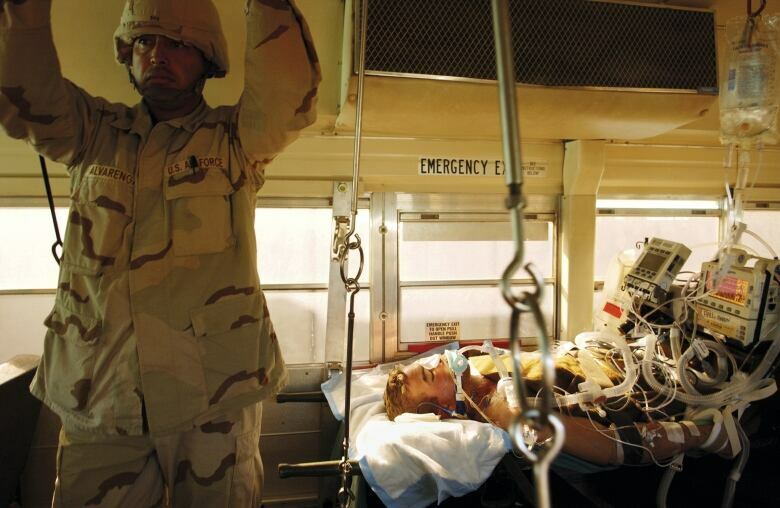 He is also the author of Shooting Ghosts: A U.S. Marine, a Combat Photographer, and Their Journey Back from War. The emotional distress faced by journalists clearly is nothing compared to what our subjects endure. Also we're not victims. We've chosen this line of work for whatever reason — whether it's an adventurous lifestyle, the prestige, the ego or idealism or the conviction that recording history holds kind of some intrinsic value. But often that relentless flow of violence or those individual cases that we witness and the suffering that we see, it does take a toll emotionally. I certainly decided at a certain point, a couple of years ago, where I felt like I'd had enough of exposing myself to certain kinds of stories. Not that these stories weren't still worth covering, they very much are, but I felt like I wanted to move in a slightly different direction. I stepped back and I decided to to write a book with one of the subjects of my photographs, a U.S. Marine who I met in Afghanistan. I felt like my relationship with him over several years after photographing him being ambushed and injured in a Taliban firefight in Afghanistan was kind of a way for me to connect with one of my subjects, one of my source, for a story in a way that I felt a lot of times I was unable to do. [Like] what Tyler just described in these situations where you're in and out of a place without being able to to ever know what happens to people after the fact. Listen to the full discussion near the top of this page. This Q&A was edited for clarity and length. Written by Lisa Ayuso. Produced by Willow Smith and John Chipman.